Love – all seek it, few understand it; few are able to draw forth love in its pure state – one that is free of judgment, one that nourishes and nurtures all that it greets. To understand the physical teacher is to understand that teaching is thankless; it requires extraordinary energies of love, understanding and desire to assist another. The student that battles the teacher oftentimes strains the teacher; it is this irritation that is unavoidable, for unconsciously the student, providing service as teacher, is aware that the self is being drained by the other. The student that is unable to love the teacher is the student that will struggle to embrace the words provided to the self by the teacher. It is important that all students be aware that the ego will fight the self tooth and nail, so to speak, from discovering that another has only the self’s highest and best interests at heart; rather, the ego prefers to tear apart the other, to judge, diminishing that which is brought forth for the benefit of the self. . The self that embraces the judgments is the self that has decided that the teachings are not desired by the self at this time. Recognizing the self is important, seeing the self as others see the self – necessary, for one who walks the path to healing; for the student who fails to recognize those who seek to aid the self is the student that drains all those that come within the sphere of the self. I am Osiris. I am love without condition. It is my duty and my honor to teach. It is for all students to recognize that the Teacher is desirous of progress for the self. It is the Teacher that draws forth lesson. It is the Teacher that watches the student as they misunderstand the lesson, as they begin to thrash, to strike out against those who have brought forth the lesson. The same student that speaks the words, “I seek to learn” – now, the student who fights against that which has been provided. It is the self’s failure to recognize the characters, to recognize the presence of the ego, to sweep all aside, remembering the self’s goals – to learn, to know, to heal the self, to feel. Who are you? Who do you seek to become? Are you certain? Are you certain? Are you certain? 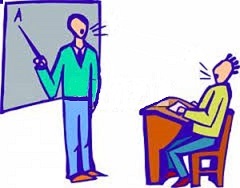 The Teacher asks these questions of the student that continues to fail to recognize the opportunities that have been provided to the self in order to fulfill that which has been stated - “I seek to know and to heal myself.” Lesson failure is experienced by each student, due to the self’s inclination to do that which is most comfortable – this means that the student responds based on previous experience, allowing the character to step forth and to provide rationale and reason, argument, excuse; the parade of characters – those that are nice, followed by those that are nasty, in order to obtain that which the self currently seeks, that which the self believes is critical to the self’s wellbeing. It is unfortunate that the self has determined that new experience shall be excluded and rarely is it acknowledged by the self when it is indeed the self’s behavior, the self’s attitudes that have brought forth lesson failure once again. The attitude of the self is to protect the self’s false image, for the self believes that this image is truth; the self’s rightness must be proven, the other’s wrongness brought forth for all to view. The question posed to the self, “Who am I?” – is oft asked when first beginning to walk the path to healing. Recognizing that the self has become the self’s lesson plan is the first goal set by the Teacher – to detail the lesson plan, to outline it in a way that the student is able to see the self, to recognize the self’s behaviors, to identify experiences past and current that agree that the self has indeed become the self’s lesson plan. Unfortunately, the student - when first beginning to walk the path – their focus is placed upon the Teacher, to show the Teacher the work that the self has done upon the self, the recognitions that have been made that are surface in nature, yet believed to be deeply profound to the student. The student is embarrassed, convinced that the self will be judged by the Teacher for the thoughts, for the actions, for the words spoken by the self each time the self has experienced lesson failure. The ego has rewritten the experience to be more favorable as to the self in regard to the experience; it is this that the student brings forth to the Teacher, seeking confirmation that the self did all that the self could do, becoming angry when the Teacher infers that the self’s behavior was not that which was necessary in order to learn.